These days, the success of any product is almost directly proportional to how well it’s marketed, and in that light, it’s no surprise that the advertisement industry uses probably more film than the entire Hollywood combined in a year. Well, HTC seems to have captured this essence fairly well, illustrated remarkably through the Taiwanese manufacturers newly-released ad for its newly-released flagship, the HTC One M8. 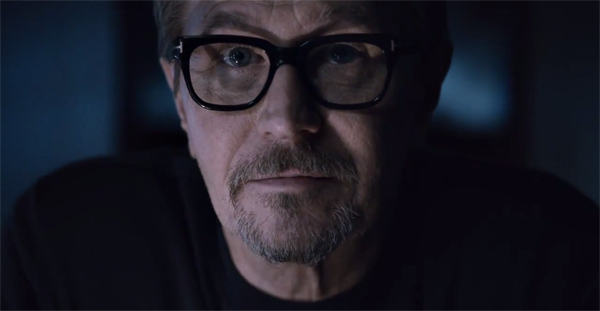 The new ad, which features Gary Oldman, continues in line with the company’s trend of casting big Hollywood names to market its products, something we saw starting with last year’s ad featuring Iron Man and Sherlock Holmes’ star, Robert Downey Jr. However, that’s pretty much where the similarity ends, in that both the ads cast famous stars of the silver screen. Last year’s ad overstated the device that it marketed, and this time Oldman is kind of understating it. The ad follows a slightly different approach than what we’re used to conventionally seeing in products that are being showcased. It starts with Oldman sitting at a desk in a glass and chrome setting (resembling the M8’s build) and talking about his new HTC flagship, as well as showcasing some of the things it can do. 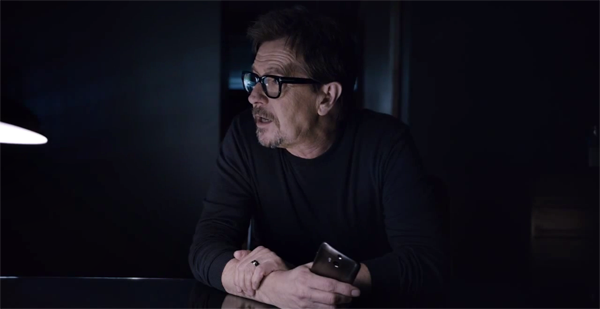 The ad culminates with the famous actor stating that it doesn’t really matter what he says about the HTC One M8, because the device is “designed for people who form their own opinions.” The unique advertisement than goes on to take this concept quite literally, as Oldman then fills in most of the runtime with repetition of “blah, blah”, finally ending in encouraging viewers to ask the internet as to what it thinks of the new device, coyly referring to the several positive reviews that M8 has already garnered. Quite interestingly, this marketing approach and strategy is rather new to HTC, which even acknowledged in the past that proper advertisement was its Achilles heel. The company stated last year that it was working on improving communications with its potential customers, and if this ad is to show anything, they’re moving in the right direction. What remains to be seen, however, is that whether this new marketing strategy be enough to save the Taiwanese tech maker, which has seen a considerable drop in market share over the past couple of years. HTC One M8 is a fantastic device, but can it save HTC? Let’s wait and find out. Oldman says, “The power of suggestion won’t convince you how good this phone is. It’s designed for people who form their own opinions.” The idea that people who respond to the power of suggestion must not form their own opinions is nonsensical to me as a professional hypnotist. People who respond to hypnosis do form their own opinions. To suggest otherwise only perpetuates the common misconceptions that hypnosis takes over the will of the subject, or that the hypnotic subject must be weak-minded.